Hailey Taylor’s heart is broken. She was sure that if anyone could tame bad boy Mason, she could. They were supposed to be together forever. It was finally their turn. Mason Cahill’s baseball career is taking him to new places. Places he’s always wanted to go. Things on the field come easily. Why can’t the rest of life be simple? All actions have consequences but will the price be too high? What would you do if you had one last chance to turn it all around? Sparks fly. Tempers flare. Hearts shatter. One thing is certain…everything has changed. 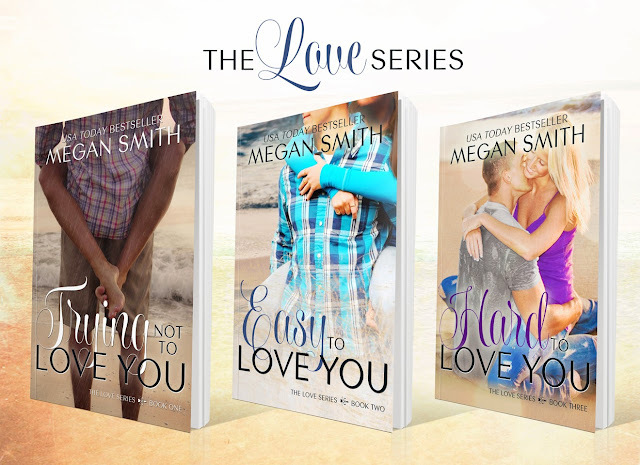 Megan Smith is the author of USA Today and Amazon Bestselling novels, Trying Not To Love You and Easy To Love You. During the day Megan is behind a desk purchasing computer equipment. At night, she's writing and planning for her next release or chasing around her very active son. THIS IS A MUST READ SERIES... GET ONE CLICKING !!!!!! !